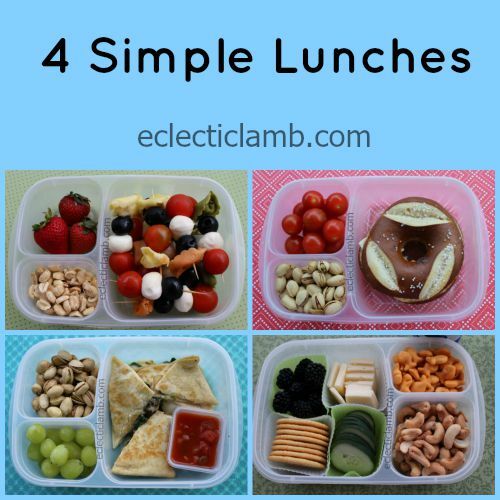 Here are 4 easy lunches: tortellini kebabs, spinach quesadilla, pretzel bagel sandwich, bistro snacks, all packed in EasyLunchBoxes. 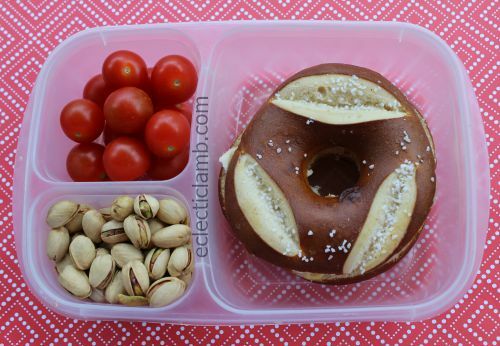 I made this simple but fun lunch from party leftovers. 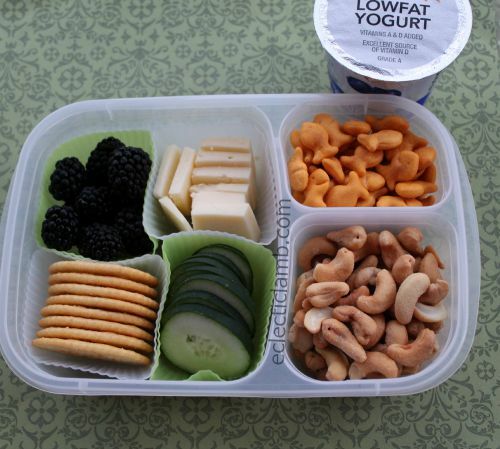 I packed this lunch for myself on a day I was out and about with my nephews. It was a nice change from my usual cheese quesadilla. When I found this pretzel bagel at Wegmans I knew that I had to feature it in a lunch. 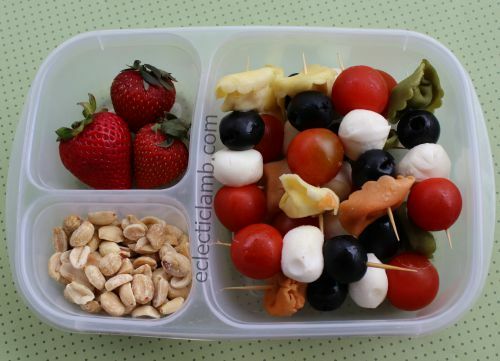 This simple lunch was satisfying and delicious. 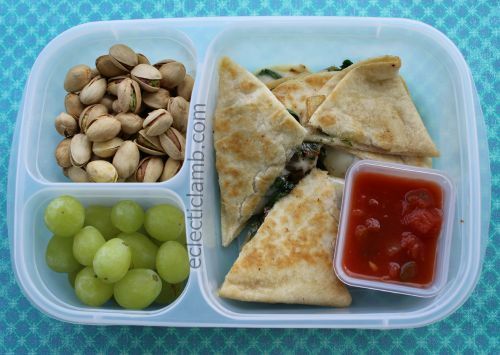 I made this bistro / snack type lunch for my husband.